In 2017, Greeners Action (GA) found out there are 90%of properties providing disposable plastic umbrella bags and 14 million of them are generated in every rainy season in Hong Kong. 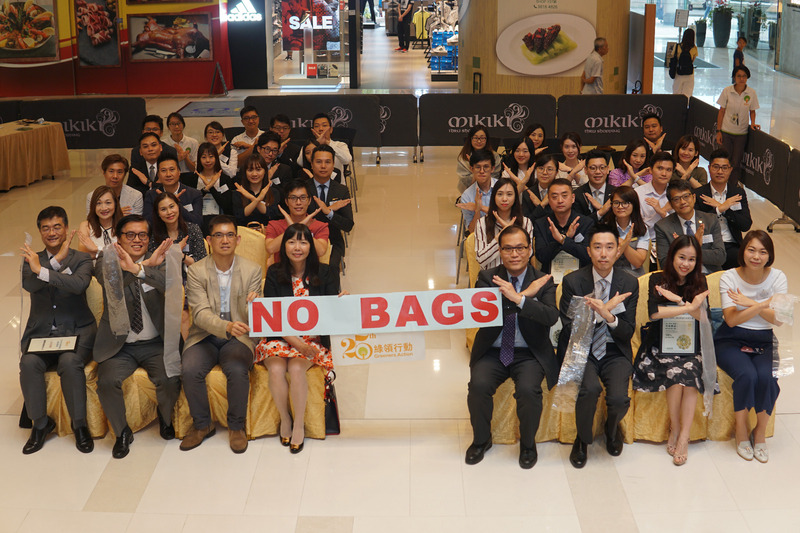 Therefore, GA has launched ‘Umbrella Bags Reduction Accreditation Program’ from 2017, invite and encourage properties to reduce the usage of umbrella bags by using other alternatives, such as umbrella dryer. The ceremony are held on today, 31st Aug, 2018. This year, participation rate of the program has been increased 40%, a total of 27 properties are joining the program. 23 properties received Gold level, 3 received Silver Level, 1 property received the Bronze level, while 1 of them received the Creative Promotion Award. Delightful performance include totally stop using umbrella bags in some participated properties, some other of them have reduced the delivery rate as 20% or even reduce 140,000 of umbrella bags.